Tires are one of the most important equipment choices you have to make on a bike. The air volume, sidewall construction and other attributes that affect the damping properties of the tire can have as significant an impact on your ride as your suspension settings. The tread pattern, rubber compounds, volume and other attributes all affect how well the tire rolls. A better rolling tire always results in a faster, more enjoyable ride but can often come at a traction cost. Every feature of every tire is an exercise is compromise. Having adequate traction for all of the typical terrain a tire will see is essential to the riding experience. Riding in the Black Hills tends to throw a bit of a curve ball here since it features such a wide variety of terrain. Rocks are prevalent all over the Black Hills, granite, sandstone, limestone and various shales are found mixed with roots and various types of soils. Combine this with the possibility of random rain storms and it becomes difficult to choose just one tire that is able to cope with all of these conditions and remain fast and durable. It seems that many locals have resigned themselves to the sidewall tears caused by the shale and run fairly cheap tires which they repair or replace several times in their lifetime. Others get angry and end up throwing many expensive torn tires away, spending more than they ought on new tires. The majority seems to have settled on running tires with burly tread and stiff, thick sidewalls. This probably seems like a reasonable option to the folks that do it, but they are compromising their ride quality, their climbing ability due to the weight and the speed of the tire due to the high rolling resistance. 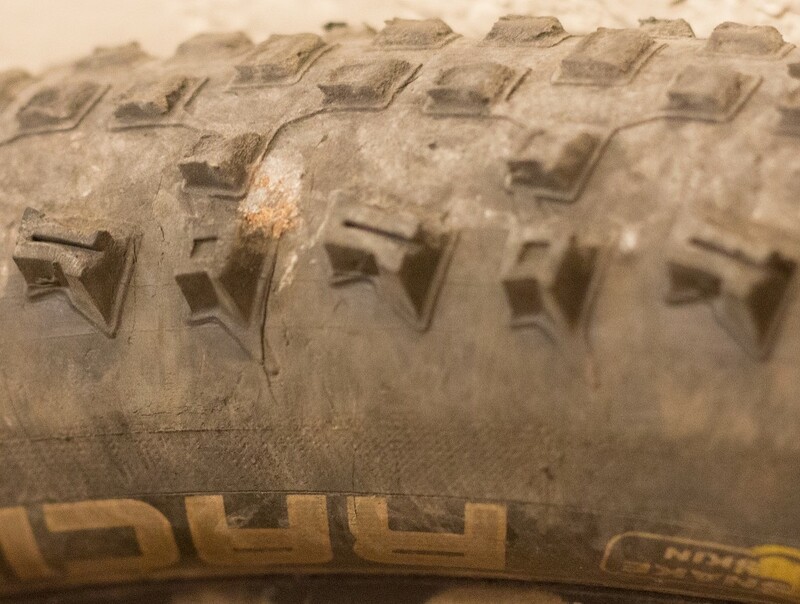 A few years ago riders were stuck between choosing between heavy tires with a thick protective casing or thinner “race” pedigree tires made with better compounds, less rolling resistance and better ride quality. 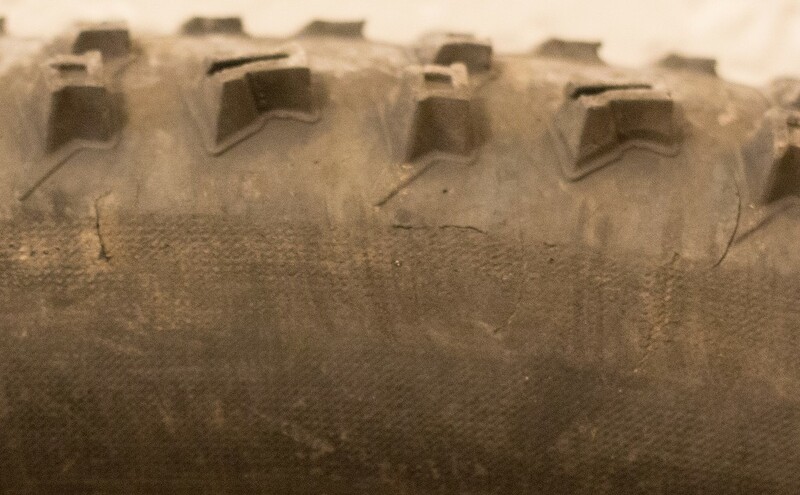 A new class of tire has emerged that bridges this gap, tires like the Maxxis EXO line, Continential Protection and Schwalbe Snake Skin feature what is essentially race tire construction with a lightweight protective layer designed to protect the tire from sidewall (or tread) cuts with minimal impact on ride quality. If you are coming to town for the Dakota Five-0, you will probably be fine on race tires as the Northern Hills in the Spearfish area is largely smoother limestone, but most other places in the Black Hills you will definitely want one of these newer breed of lightweight tires with sidewall protection. 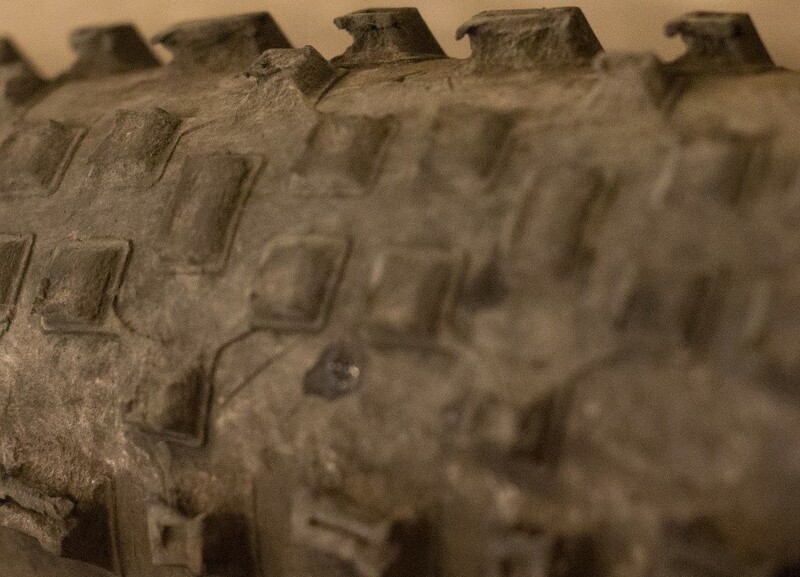 They will enhance your ride by rolling faster, absorbing more of the small trail bumps, climbing faster due to lower weight and descending faster because of the better compounds used in this class of tire. As evidence of the durability of this new breed of tire I offer some images of the rear tire of my Niner Jet9. 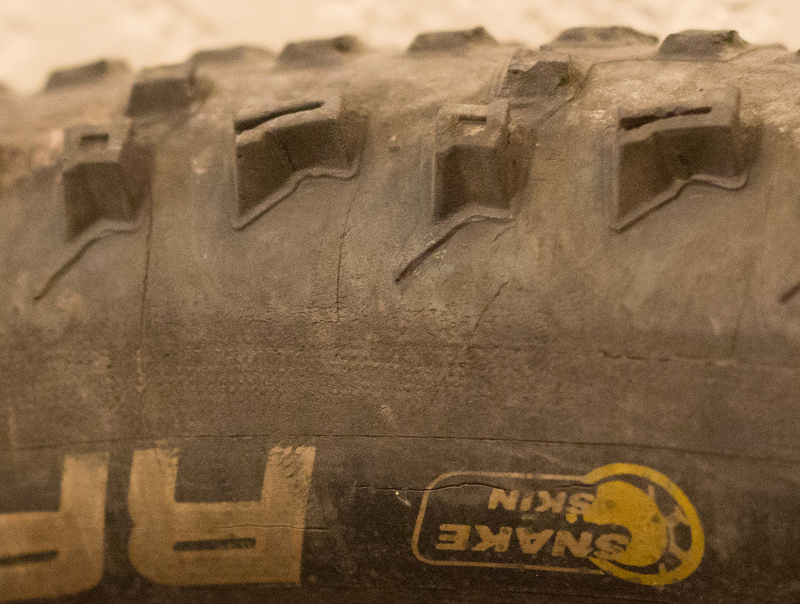 This tire was first mounted 11 months ago, has done the Laramie Enduro, Leadville and Dakota Five-0 as well as the Tatanka 100 Mountain Bike race and a GPS-documented 1,000+ miles of Black Hills single-track. Most of those single-track miles were in the Rapid City area, where the sidewall destroying shale is most prevalent (Black Hills Back 40 racers beware!). This Schwalbe Racing Ralph with Snake Skin features many pronounced sidewall cuts but has NEVER FLATTED! 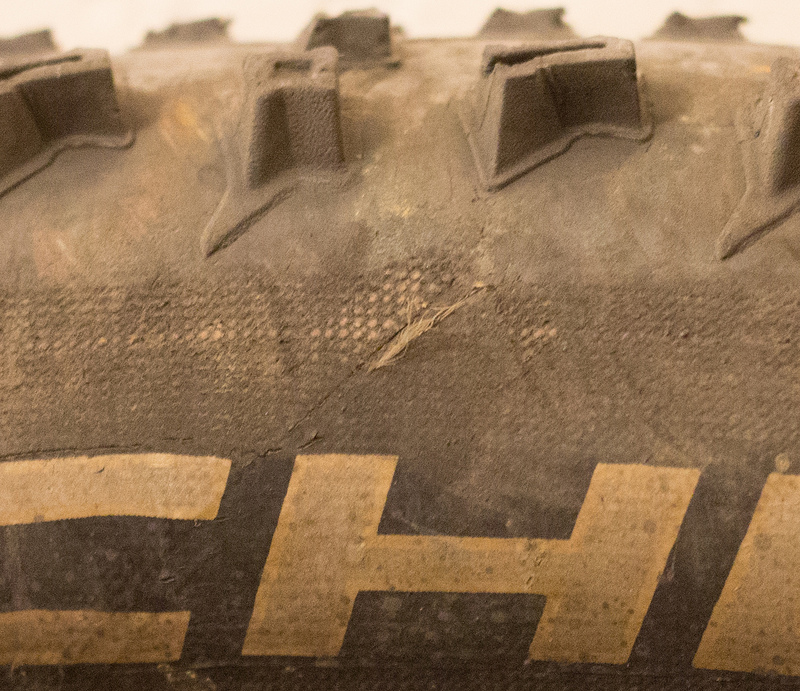 Although these Schwalbe tires are quite expensive at around $90 per tire, the associated performance and longevity makes that price a relative bargain. As you can see in the last two photos, the protective “Snake Skin” layer does not extend all the way around the tire, it just covers the sidewalls. The tire has suffered dozens of punctures through the tread area that have been fully sealed by the Stan’s Sealant in the tire. 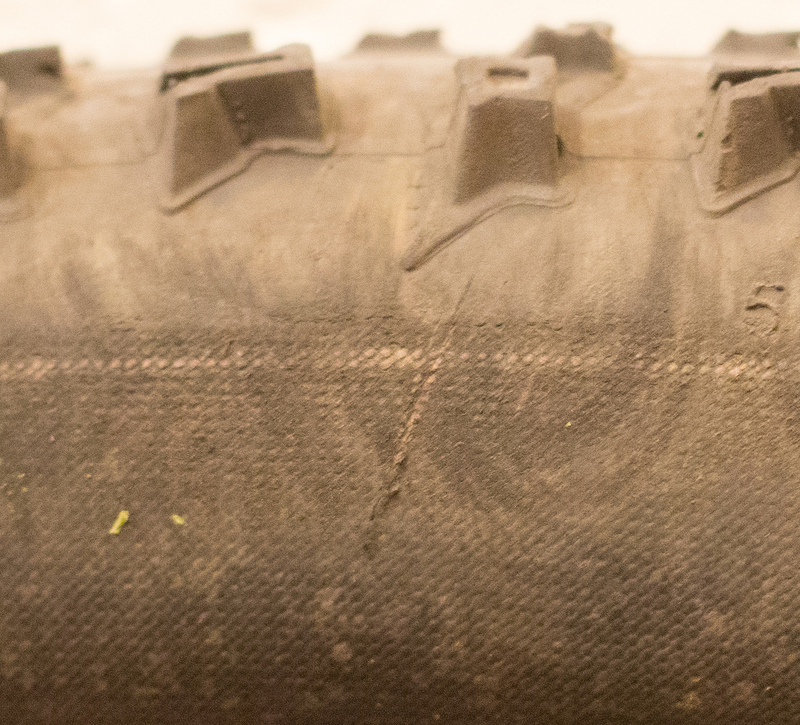 Tubeless is definitely way to go in the Black Hills, but that is a topic for another blog post. Updated schedule/press release. UPDATE: 7/18/2012. A press release and updated schedule is available for this event. The City of Whitewood hopes that all individuals with an interest will attend some or all of these events. By attending you will not only help to improve a local Black Hills community, but you will also improve your own community by being able to apply what you learned closer to home! RSVP ASAP! Download the official IMBA Trail Care Crew schedule of events for Whitewood, SD. The International Mountain Bike Association (IMBA) will be visiting the Black Hills the first week of August to teach and help on a trail project in Whitewood. The schedule of events includes a social and presentation on Thursday evening, August 2nd. Friday afternoon will bring a presentation called Better Living Through Trails, this will be especially interesting to those with a vested interest in the local economy. On Saturday, August 4, the IMBA Crew will teach a 3 hour trail building class starting at 9:00AM and followed by 4 hours of IMBA-led trail construction in the Whitewood City Park. See the official schedule linked above for the full details. The city of Whitewood is incredibly excited to have the opportunity to host the IMBA for this event and hope that everyone with an interest will attend one or more of the events. 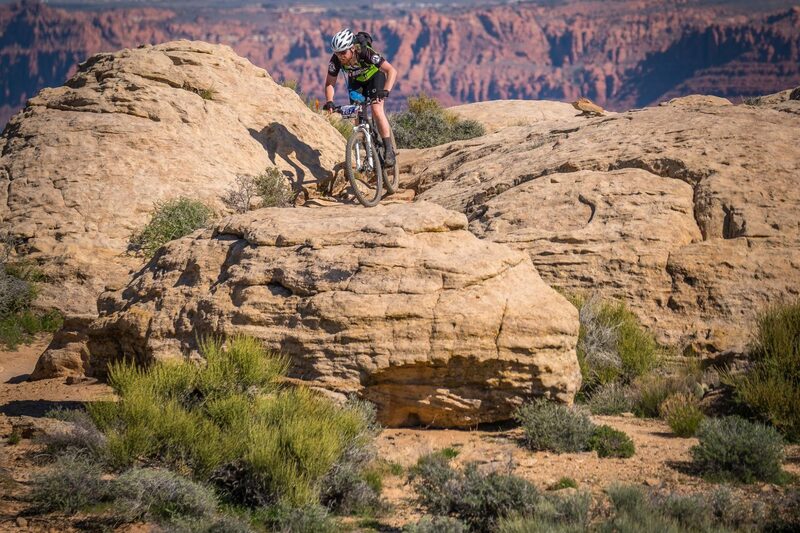 Visit the IMBA website to register for any of these events. See our prior post for a little background. The random number generator has done its thing and we have two winners in the Dakota Five-0 Entry Giveaway! PahaSapaTrails.com would like to thank all who entered, we hope PahaSapaTrails.com will become an increasingly valuable trail resource to all of you in the future! Congratulations to our winners, David Unkenholz and local Josh Christiansen — we’ll see you in September!